Famous Amos freshly baked cookies and its irresistible aroma are enjoyed by true cookie lovers everywhere. 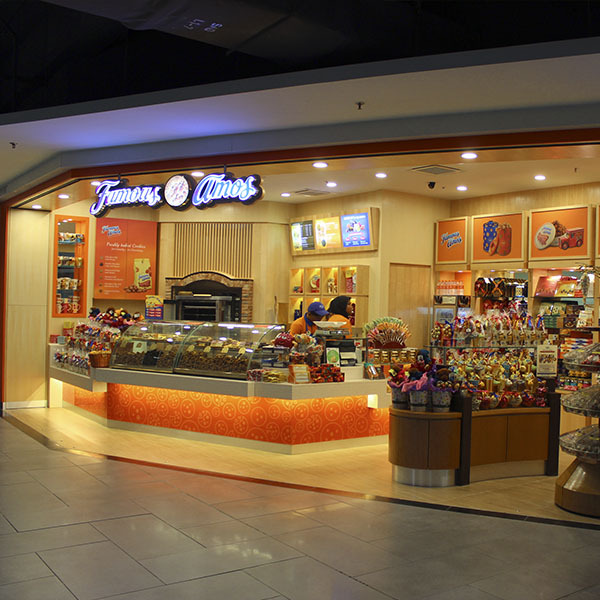 Famous Amos has been transformed a cookies boutique with a wide range of cookies gifts and gifts packaging. All gift packaging are complimented with selected imported chocolates and premium mugs which are creatively packed into unique gifts, providing the perfect gift for all occasions.